The holidays offer the perfect opportunity to gather with family and friends, enjoy good food and create lasting memories. Hosting the party can mean anything from sending a casual invite for game night to creating a 10-course dinner. Whether the season is filled with cozy nights at home watching seasonal movies or nightly entertaining to catch up with friends, a welcoming environment makes you and your guests feel right at home. 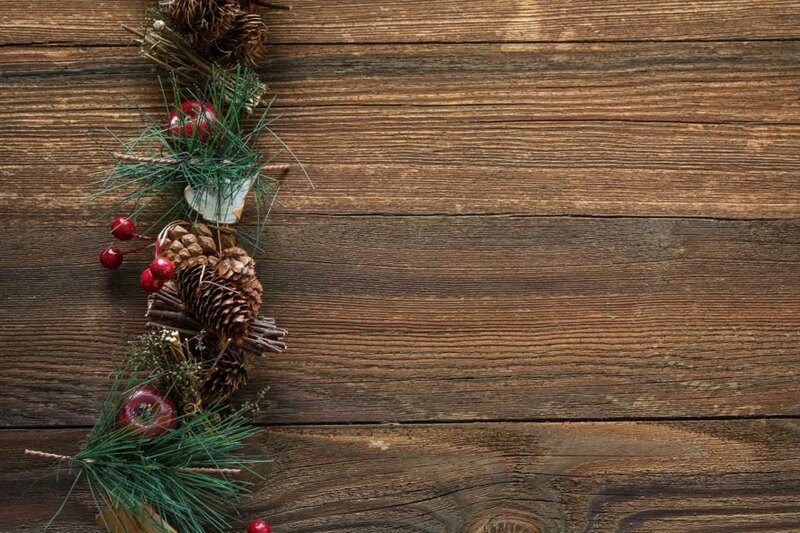 Fortunately, creating a festive vibe doesn’t require a trip to the commercialized holiday aisle at your nearest department or home improvement store. Instead, look for natural elements that bring a bit of the outdoors in during the otherwise unwelcoming cold season. Here are some ideas to spruce up your space in a sustainable way. 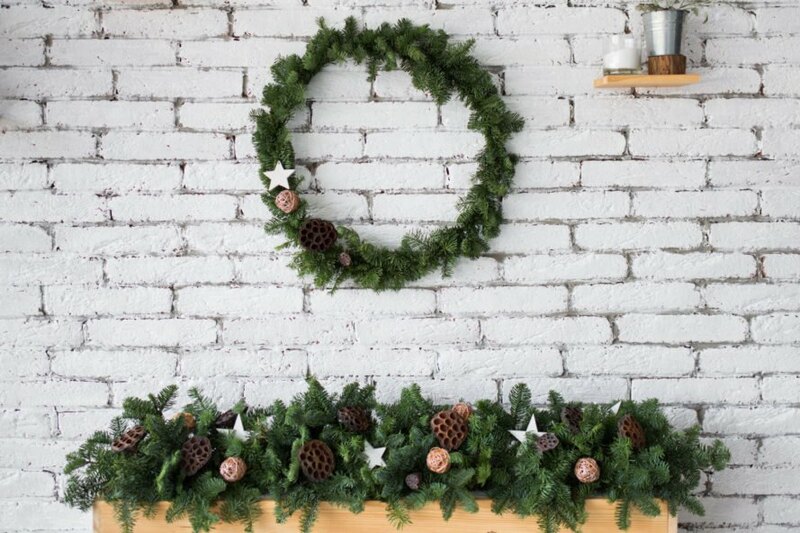 Wreaths are easy to make and offer a ton of options depending on what you have available in your area. Grab those woody grape vines and form them into a circle. Use gardener’s wire to attach your favorite natural elements, such as berries or dried flowers. Even a single long sprig of eucalyptus makes a quick wreath with a pleasant scent. Evergreen branches are also useful in this endeavor. Attach them to a wire straw wreath frame and add poinsettia leaves and ribbon for a festive door decoration. Smaller wreaths can double as a centerpiece with a pillar candle in the center. Speaking of centerpieces, natural elements make the best appeal for the dining table. Select your favorite glass water pitcher or salad bowl and fill it with colorful citrus fruits like oranges, lemons, limes or grapefruit. Mix up the look with some added woody herb stems and leaves, such as lavender or mint. Alternately, pick a color theme such as red apples, currants, pomegranate and cranberries. Because candles are always a welcome addition to the table, hollow out apples or gourds and place tea lights inside. Surround them with vines or leaves to incorporate different heights into the look. Another classic centerpiece can be created out of a long piece of bark or driftwood. Simply balance other natural elements on top, such as nuts and colorful berries. Large, flat surfaces naturally draw in the eye, so mantles, sofa tables and similar surfaces provide a great opportunity to introduce natural elements into a space. Begin with pine boughs trimmed from the tree. Add layers of color with holly berries and pinecones. Then, elevate the interest with varied glass bowls, vases or glasses. Fill each with your favorite combination of nuts, spices, herbs, flowers and fruits. For a particularly cozy appeal, weave LED lighting through the display. Although adding visual elements to your decor makes an effective statement, remember to also invite the scents of nature into your home. 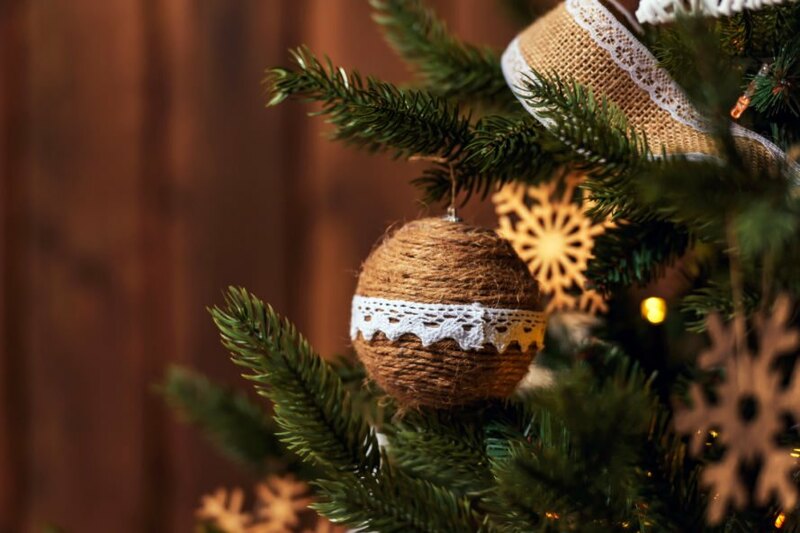 While your Christmas tree may offer the smell of evergreen, there are many other opportunities to bring in the subtle essence of the outdoors. Go with an old-fashioned potpourri by leaving a combination of citrus, cloves, nutmeg and cinnamon in some water to simmer on the stove. When it comes to decorating for the holidays, less is more. Keep displays and centerpieces simple and streamlined. Nature is already elegant, so there is no need to overdress her. Instead, combine elements with small touches here and there. Even a simple bowl of walnuts or hazelnuts brings with it a connection to nature. Rather than blanketing a table with a variety of creations, use a colorful runner with a pinecone-filled wooden bowl instead. Take that lemon tree you brought inside for winter and add a few bulbs for a festive touch. Create subtle appeal with drink markers handmade from cork, seashells or pieces of bark. In your efforts to ring in the season with a touch of nature, remember that in addition to the living elements, there are textiles sourced from nature that can have the same effect. For example, natural burlap comes from jute, a plant fiber. The sight and feel of burlap transports the nature-lover to times in the barnyard feeding grain to the farm animals or out on the lake surrounded by the ropes on the sailboat. Use fibers like burlap to make a natural-looking wreath. Make small bags out of the material and use them as a planter for small cuttings or herbs. Hang them from the curtain rod or place them in the windowsill. Similarly, wrap rope around candle holders for a salty-skin, nautical feel. In addition to textiles and rope, other elements from nature bring harmony and calmness to indoor spaces. Clay is a natural element that makes a nice container for earthy additions like shells and colorful rocks. 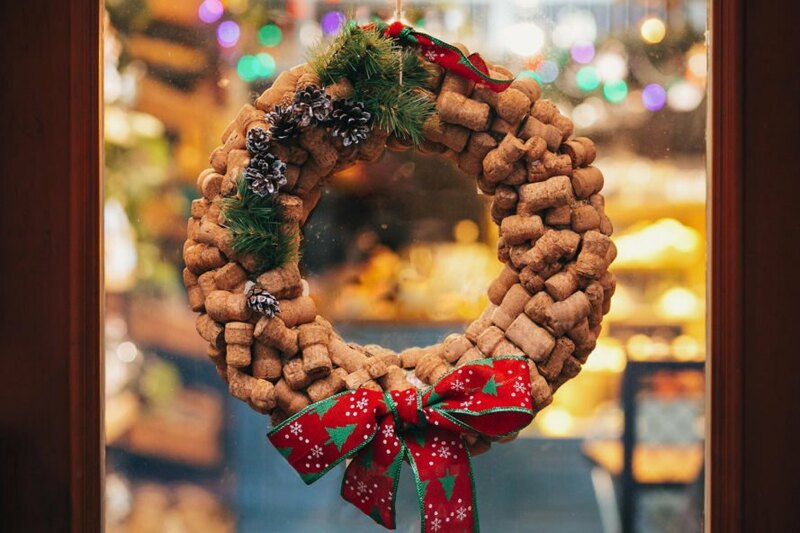 Moss and cork are two other examples that will make your space more inviting for the holidays. Remember that nature offers seasons of color and flourish. Winter is a time of light growth and a feeling of calm. Bring that sense inside with basic elements and a few punches of color. Also remember other elements of nature, such as sunlight and water. Make a tabletop fountain from a large bowl with a basic pump and tiered rocks. Add moss for a softer effect. Alternately, feed water through a pump to a water feature of terracotta pots stacked on their sides, pouring into each other. Even though winter is a subtle time, plants and flowers still bloom throughout the season. Your holiday decor can be as simple as a single plant or as bold as a decorated live tree in your foyer. Rather than spending a fortune on cheap (and often plastic) decorations at the store, create a warm, welcoming atmosphere at home using elements from nature. 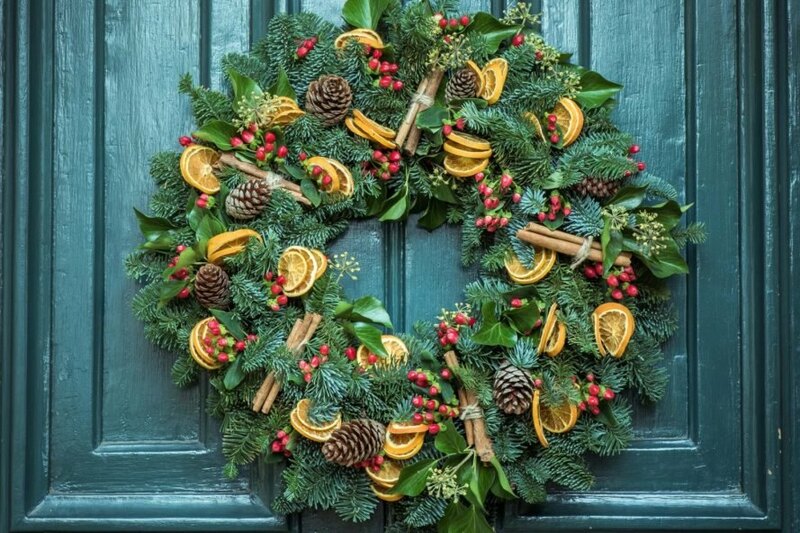 Make show-stopping wreaths from evergreen branches, grape vines, eucalyptus, pinecones and more. Welcome guests to the dinner table with a centerpiece inspired by nature. Flat surfaces like mantles and tabletops beg to be adorned in the splendors of the season. 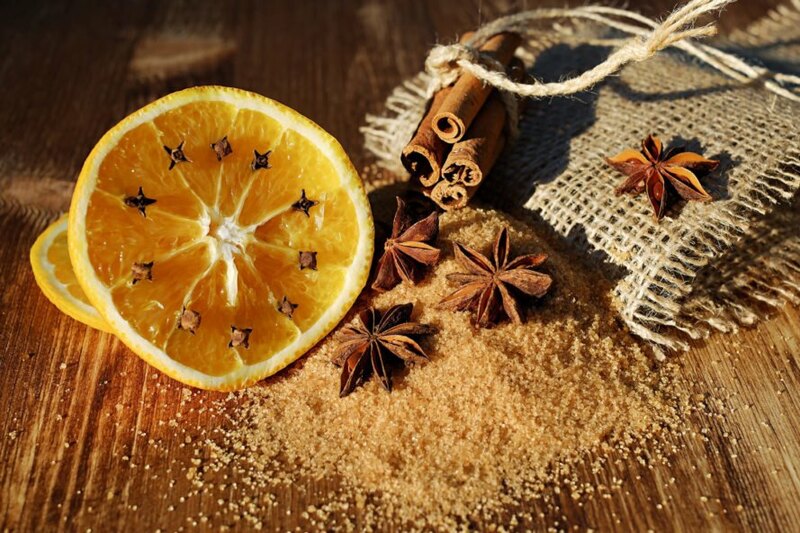 Use natural ingredients to make your home smell fantastic all season long. 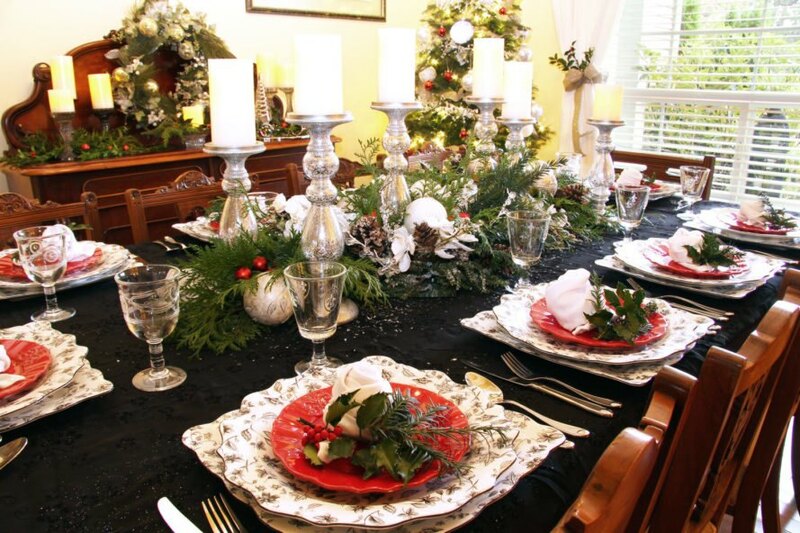 Embrace the simplicity of natural holiday decor. Natural textiles, like burlap, create a cozy environment. Turn to natural materials like cork, moss and clay for your decor. 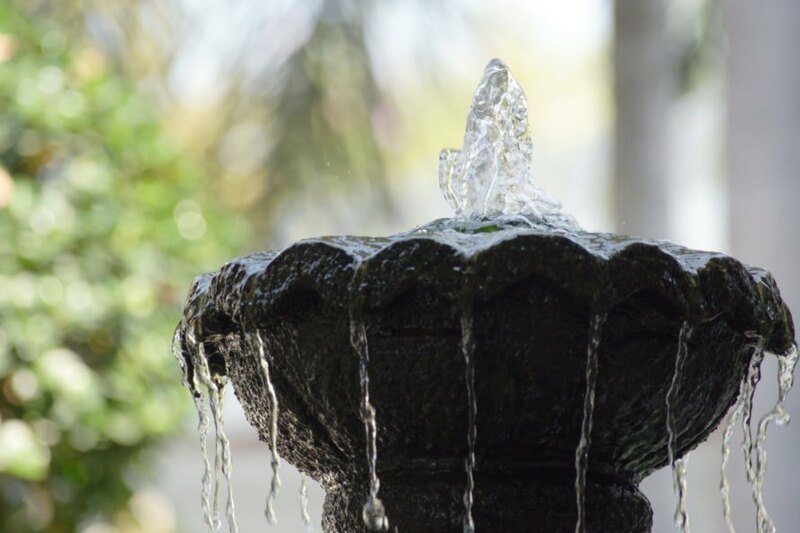 Mimic the serenity that nature brings through small water features. How will you decorate with nature this season?